This time last year, every developer in the studio was focused on a single goal: Preparing Destiny for launch. We were building a new world – and dreaming of the day when the walls would fall away and you’d be invited in to make it your own. That’s what brought us in to work every day. Every Artist. Every Engineer. Every Designer. They were all striving to enable your first steps into that world. The team we’re talking to today supports the Live Game. They’re the ones looking at the original blueprints to support the journey we began last September. They help us all to evolve, one update at a time. There are a lot of things that factor into which features make it into a release. We get feedback from everywhere. We meet with our Community and Player Support Teams every week. They bring up the latest topics and top sentiment from various forums (b.net, reddit, etc). The User Research team gives us a regular report on how the community is spending their time in the game. We have conversations in the halls with our coworkers who ask for changes. We get friendly peer pressure from our buddies outside the studio when we’re online, playing the game for ourselves. Our goal is to figure out what will result in the best experiences and make the most players happy. Every day, we have to think about how we allocate our time. Some plans can be surprisingly complicated to execute. 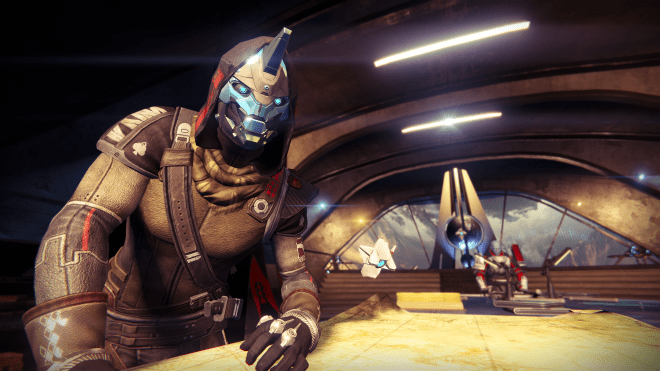 At the end of the day, we want to continue to make the experience of playing Destiny better and deliver content to keep things fresh (and boy, do we wish we were faster). It’s been a huge learning process for us, and we are committed to improving. We need to pick improvements that we can design, build, test, and release with quality in a given timeframe. That starts with Design and Player Support nominating a set of changes. We put our ideas on the whiteboard and try to drive an acceptable Design and Test plan for each of them before our internal cutoff date. Our first job is to start with a big ambition. Our second job is to scope to what we can actually get done. Many ideas don’t meet our standards for the time we have. With a game as complex as Destiny, that process can be tough. Take, for example, our fix for losing heavy ammo on death. That bug arose from the way in which several major gameplay systems work together. We engineered several fixes, but always wound up creating new bugs. We didn’t think it was acceptable to create new problems for a minority of players. Eventually, one of our engineers had a clever insight for how to fix the bug, and we patched it in the 1.1.1 Update. The room where they meet is a place where you are discussed constantly. If you’re talking about an issue on the forum, it’s a safe bet that are they’re working it out on their whiteboards. Raid Fixes – There are times when Atheon and Crota can be uncooperative, so we’re tackling their worst bugs. Audio and Visual – Not everyone wants to see or hear a game the same way, which is why we’re looking at providing more options. PVP Ammunition – The Crucible team wants to change the way ammo crates dictate the flow of a battle. Strikes – The numbers tell us that there are some missions that are successfully completed far less than others, inspiring us to look at why people quit. Fair Warning: Our hopes and dreams are always at the mercy of “Triage!” The longer we support the Live Game, though, the more confident we feel about calling the shot. 1.1.2 is still weeks away. That gives us plenty of time to delve into each point. We’ll talk about this again (starting next week). We’re seeing some reports of players losing items when transferring items using the Companion App or their Bungie.net profile. We are actively investigating this issue and have a list of steps you can follow to attempt to retrieve these items. Your Feedback is a huge Help to us. Please keep it coming!